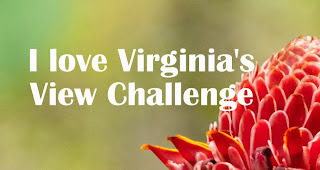 I really wanted to link up at Virginia's linky party so I decided to combine a couple of challenges together. 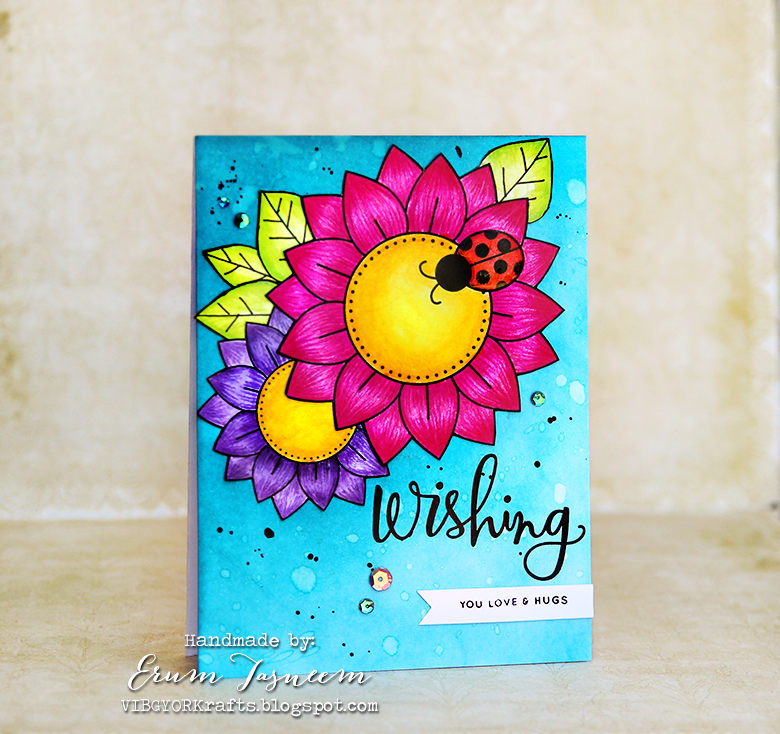 My inspiration comes from the fabulous card by Joyce Mehrberg, caseing her card (linked at the bottom of this post) for Happy Little Stampers CASE the designer challenge. And this is my first time playing the Altenew Inspiration Challenge! 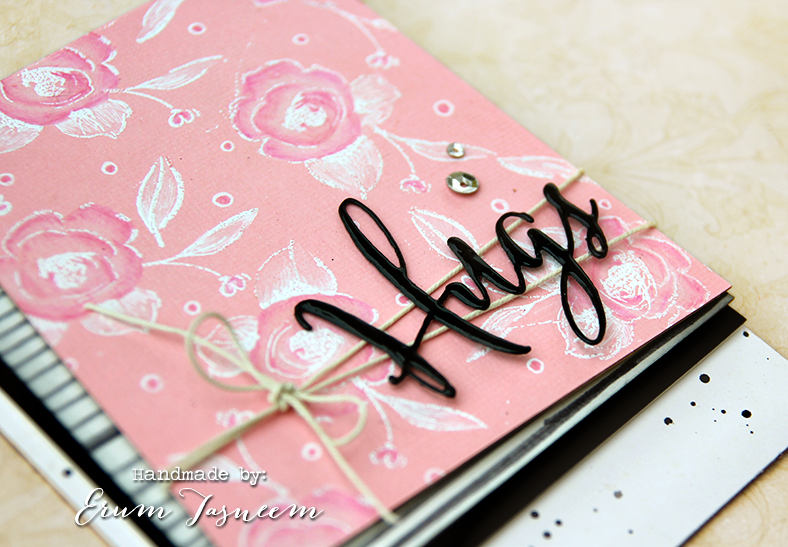 You should definitely check out the gorgeous entries! Here are my cards separately. This is a one layer card. 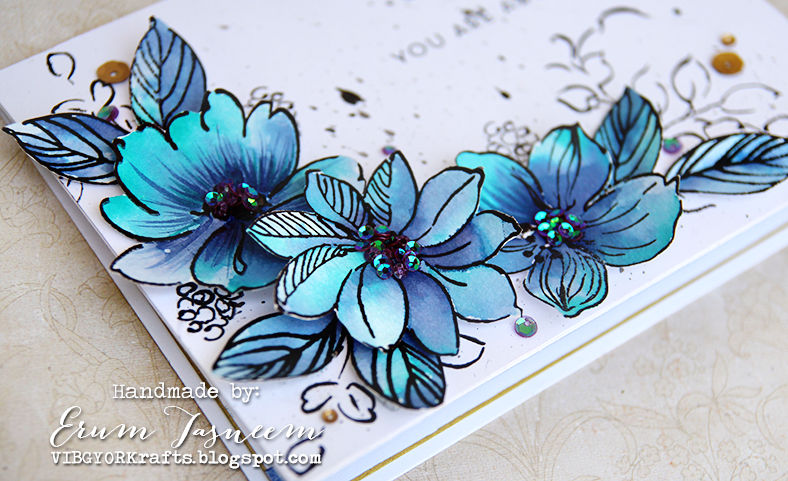 I waterclored the flowers from the Altenew Wild Hibiscus set. 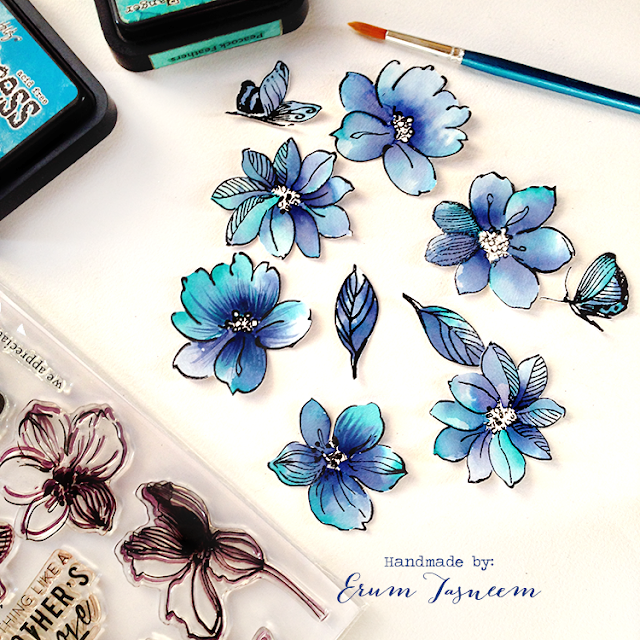 I glued the fussy cut flowers and leaves giving different dimension to all pieces , added some stamping on the background using Golden Garden set, the sentiment is from the Painted Butterflies set. My flower centers are very tiny sequins. 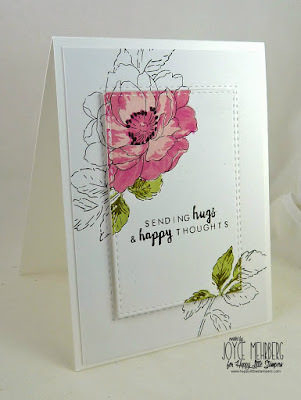 For this card, I followed the last week sketch over at CAS(E) This Sketch and followed the same pattern as in the previous card, as in fussy cut flowers and stamping on the base. 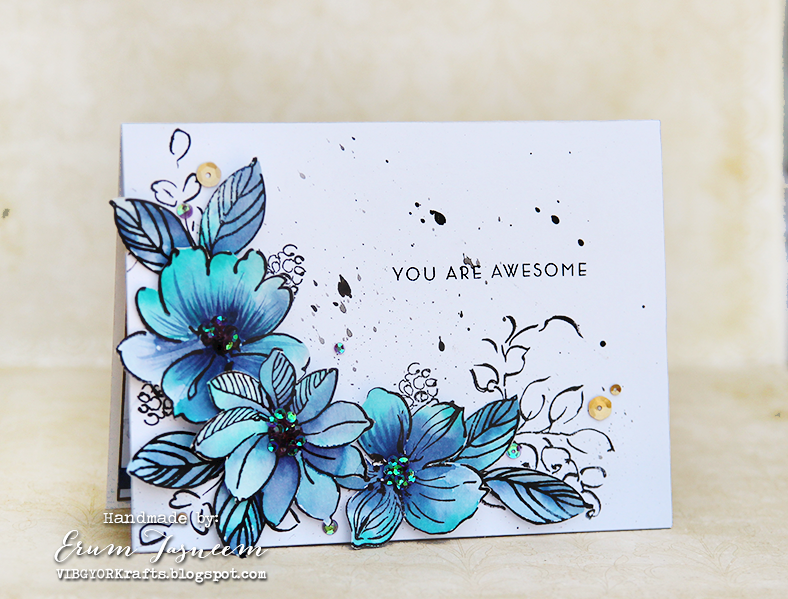 Stamps used here are from Altenew's Wild Hibiscus, Golden Garden and Label Love. I don't know if it's visible but there is a gold foil cardstock strip right above the black and white diagonal strip (which I created myself using a black marker). Here are a couple of closeups. Here is the BTS pic I shared on my Instagram a couple of days back. That's all from my side. I hope you like both the cards! Thank you for inquiring about my mum folks, she is doing better now - not 100% but better. It's pretty hot here and I have been sitting in one place and coloring tons of images. For my card today I followed the theme at Simon Says Flickr challenge "Ink Blending" and used Newton's Nook Designs sunflower digi for my card. 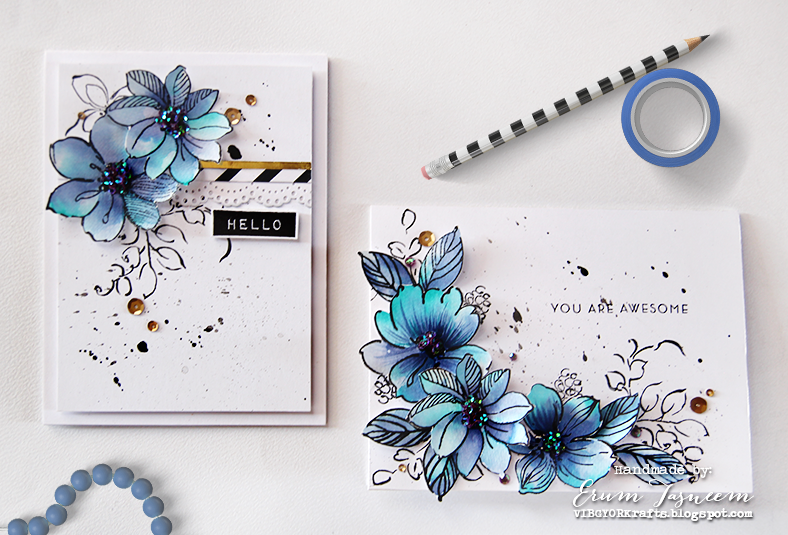 I wanted an ombre background and really bright flowers on my card. 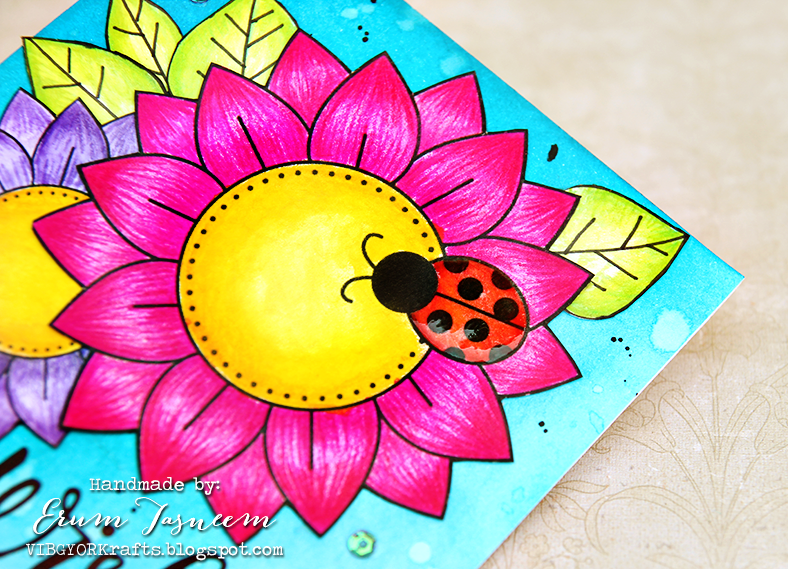 For the background I used distress ink and to color the flowers I used Faber Castell pencils and Crayola markers. I drew the leaves myself, the card was looking very bare without them. Applied some glossy accent on the ladybug, added a few sequins and I was done! 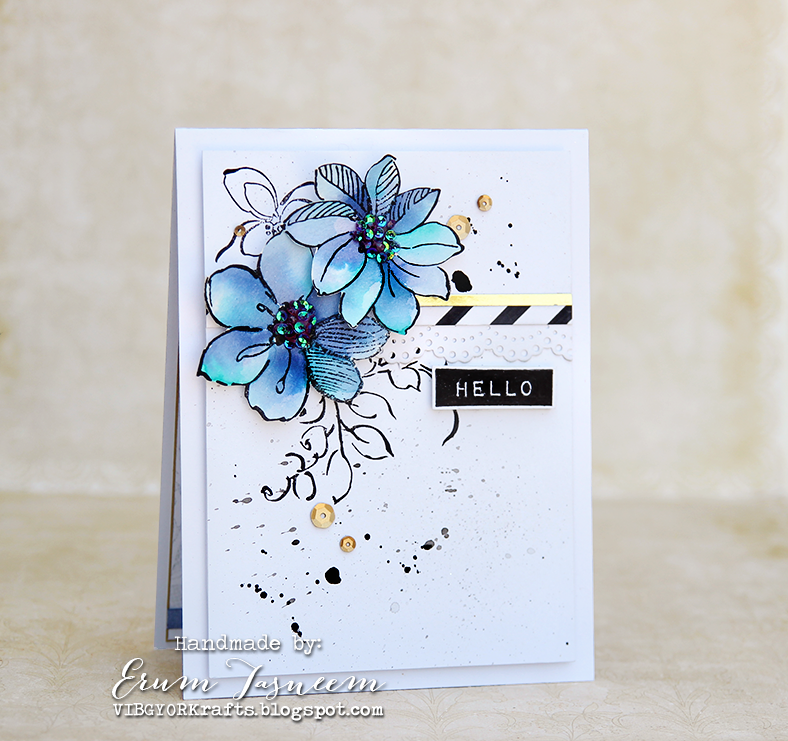 The sentiment stamp is by Simon Says Stamp. It's been a few months since I last posted. My mom wasn't very well and it was just very messy at my end. This is the first time in years I am not part of a design team and gosh it feels very weird. I took some time off but I am trying to get back to blogging regularly. So here is what I made, just for the sake of creating SOMETHING! The die is by Papertrey Ink, I wanted it to look bold and super black so used glossy accent on it. 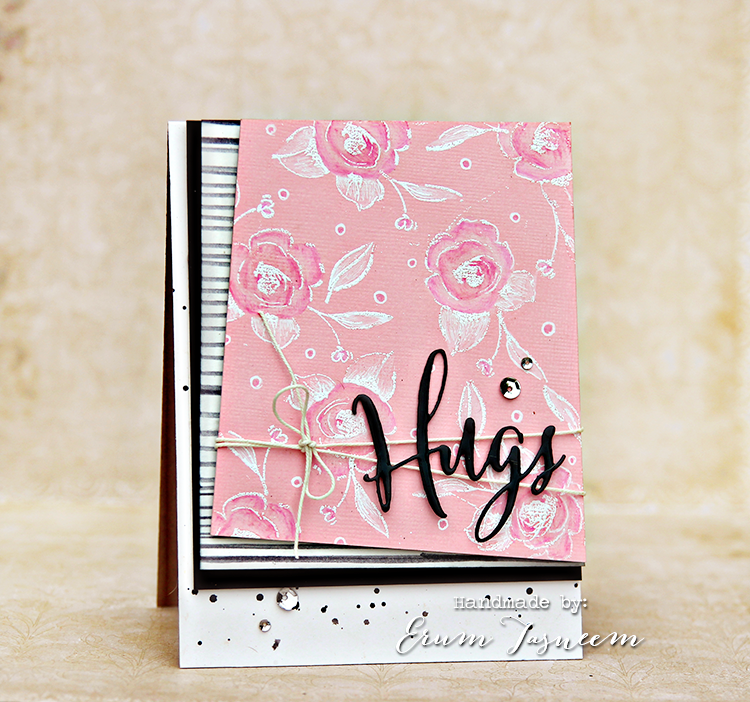 The background (on pink) is created using Altenew's Painted Flowers stamp set. 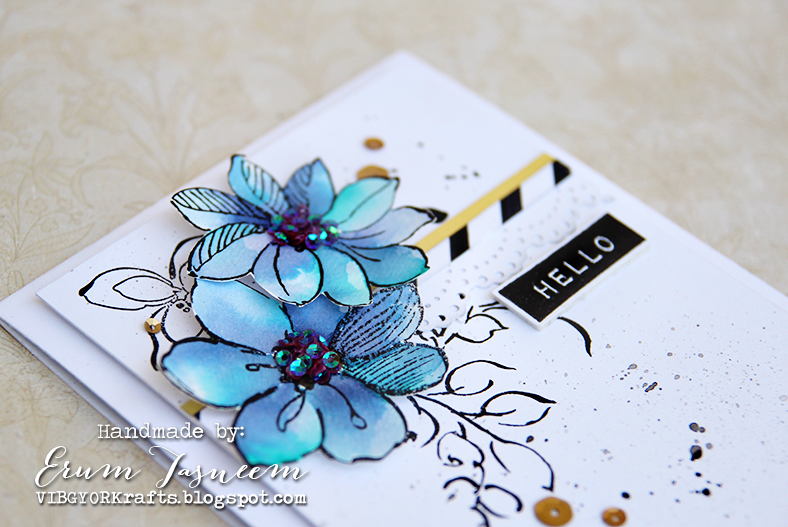 I heat embossed the flowers and then colored them with Faber Castell pencils. Added some splatter and a few sequins for the bling. 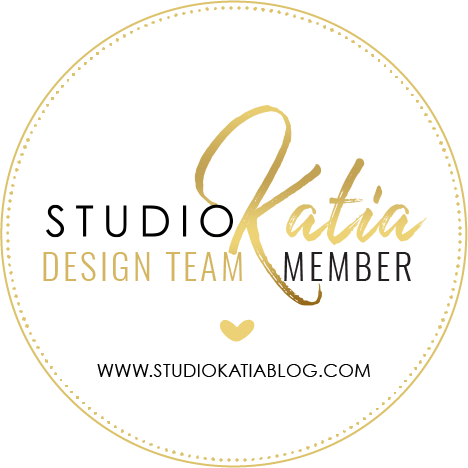 I will be back soon (hopefully) and will definitely stop by your blog!